Enjoy people-watching while sipping a hand-crafted cocktail or a regional beer at our bar and lounge, or indulge in locally sourced American fare at our restaurant. Both are located in hotel’s five-story atrium lobby. Washington, D.C., has a restaurant for every preference—you name it; this city’s got it all. 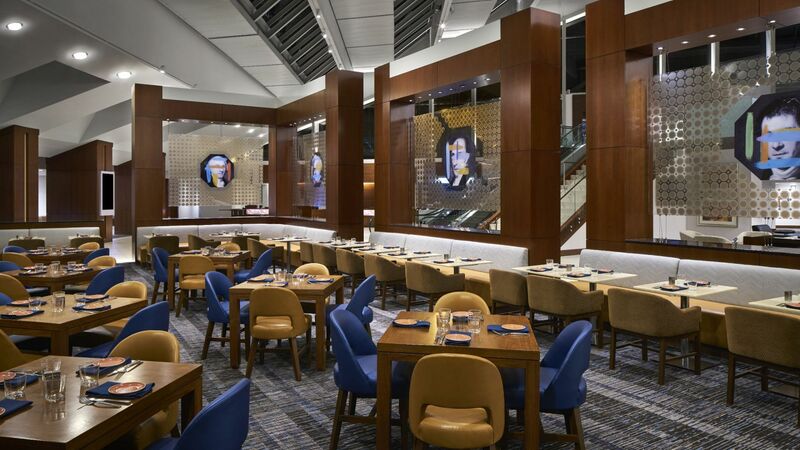 With no shortage of spaces to explore, D.C.’s culinary scene features one highlight inside Hyatt Regency Washington on Capitol Hill, set within a five-story atrium. Taking its name from the U.S. Constitution, newly refreshed Article One – American Grill blends an unforgettable atmosphere and world-class cuisine, from the lavish breakfast buffet—host to an omelet bar, meats, flaky pastries, and fresh fruit—to the gourmet dinner options including meat dishes and sustainable seafood, to the special holiday feasts. If you’re looking to host an event, our restaurant has two private dining rooms, available to host parties of up to 24 guests. Please send your private dining inquiries to article.one@hyatt.com. 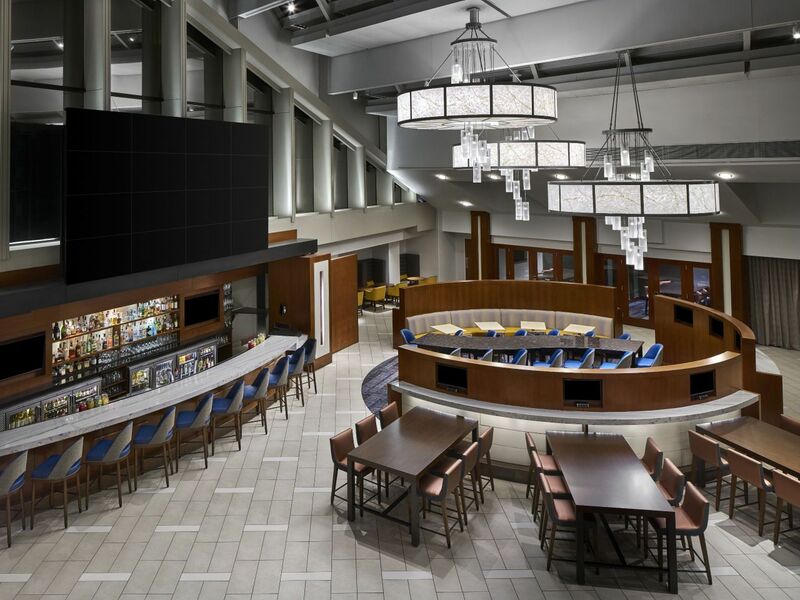 Whether you’re looking to wind down with a handcrafted cocktail, meet up with friends and colleagues, or catch the big game, Article One Lounge at Hyatt Regency Washington on Capitol Hill is the place to be. This casual yet refined lounge in our atrium lobby features a menu stocked with cocktails, wines, beers, and light appetizers and sandwiches. Our newly renovated Lounge & Bar invites you to enjoy big sporting events on our newest Jumbotron - biggest TV on Capitol Hill! And to make your big night out even better, we offer Game Day $5 Specials! Available Sunday and Monday during the football season. 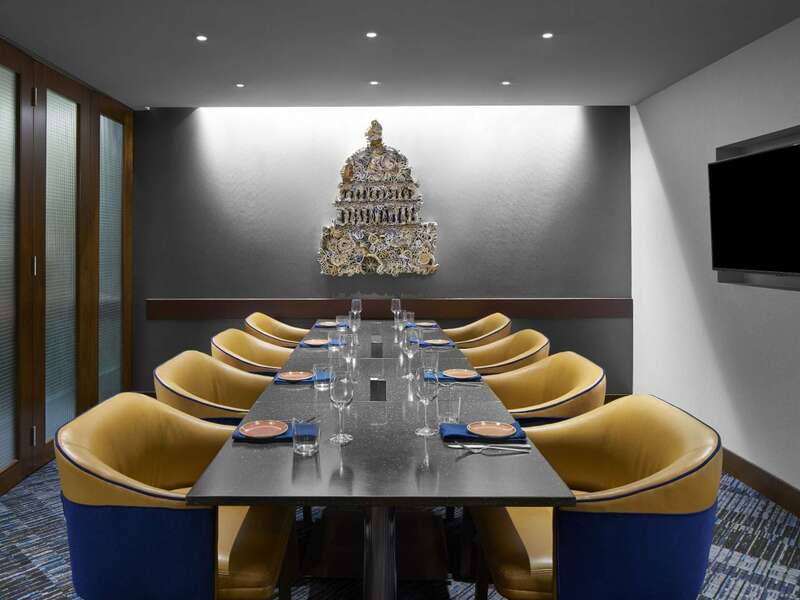 Mingle at the communal tables, or gather your crew in the private lounge areas, hosting events for up to 24 guests. Enjoy Happy Hour specials Monday through Friday in Article One Lounge & Bar! Please see details in the menu below. Not available in the restaurant or room service, or for private events. Friday & Saturday: 11:00 a.m.-2:00 a.m.